Your first cup of coffee in the morning is how you start your day. And when you combine your love for elephants with your love for coffee, there is nothing that can stop you from having a great day! You can satiate your elephant loving heart without spending too much on an elephant mug either. Amazon has some really affordable options that look cute and are sturdy to last you for a long time. Coffee mugs cannot be in simple, plain or boring colors and design; everyone has a collection of mugs for their morning coffee that cheers you up while you sip that first fresh brew. 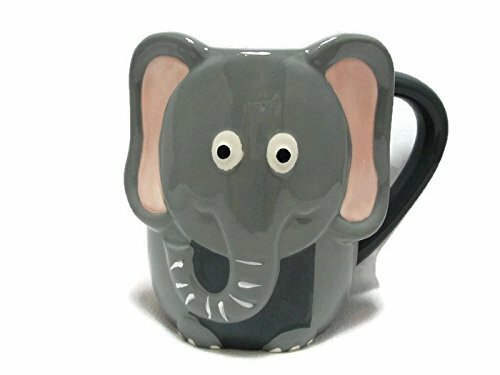 Elephant Mugs are the most beautiful, colorful and adorable collection available at Amazon.com. These Mugs are available in many designs and styles and it's impossible to ignore how pretty they are. These awesome designs can prove to be a great gift for your other ellie-loving friends and family as well. The best ever Elephant Mugs are exclusively available at Amazon.com at a very reasonable price. These mugs are prepared from the best quality materials and the designs are made by expert artists. 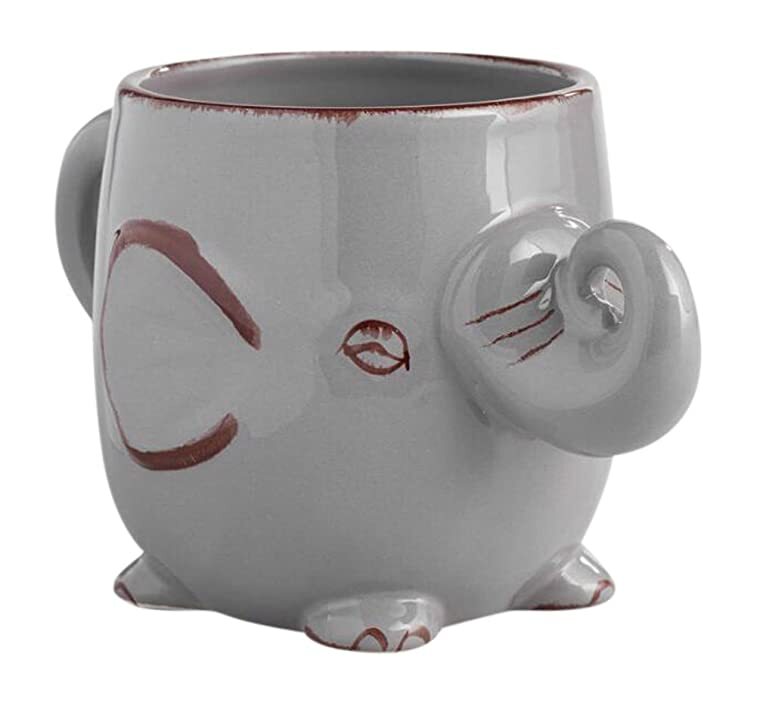 Nothing can be as adorable as this 3D Ceramic Lucky Elephant Mug. The slightly curved shape, gray color and cute little elephant trunk actually make you fall in love with it. It can carry about 16 ounces of coffee or tea and give you a perfect start to the day with a smile. If you are looking for an artistic piece of the mug than this 3D Figural Gray mug is just right for you. The figure of Elephant is designed by Tag and looks so real and fun to watch when you sip your tea or coffee in it. It's also great if you're trying to get your kids to drink their morning mug of milk! 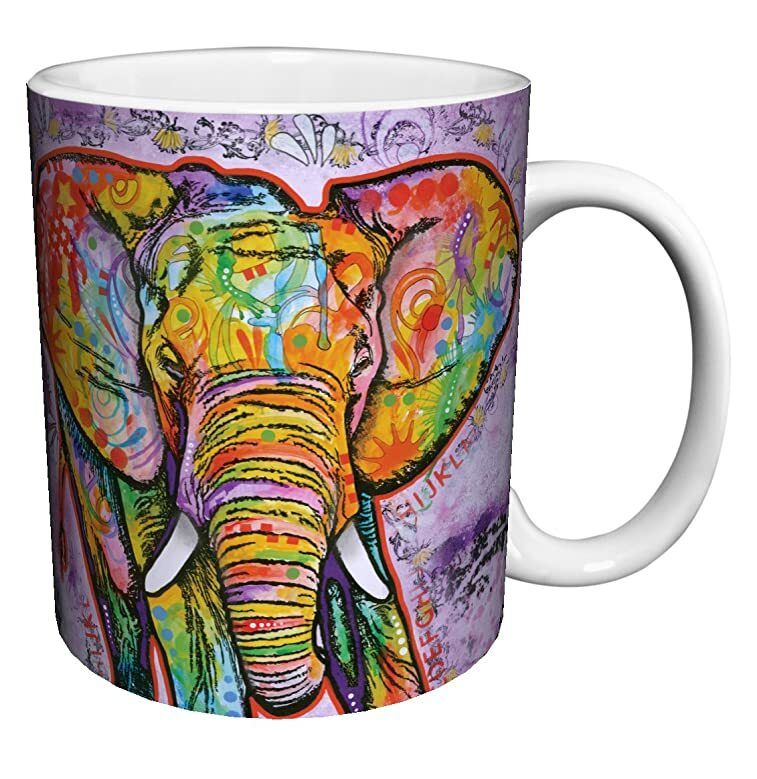 This Elephant Modern Animal Art Mug is designed with such vibrant colors that it’s a pure pleasure to use it or even just see it sitting prettily on your shelf. 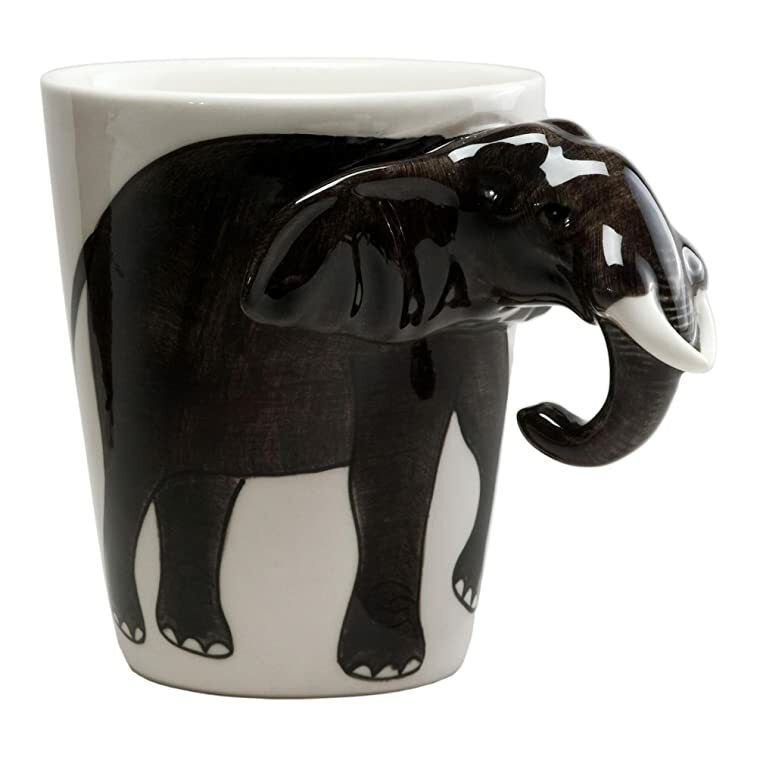 This Elephant mug is a great idea to gift someone who has an aesthetic sense and loves coffee or tea. Do you want a pure artistic piece of crockery right on your breakfast table? This Ceramic Life-like Elephant Mug is a must-have for art lovers with a deep aesthetic sense. The unique design makes it look like the real tiny elephant in your hands which feels like pure joy.